In my last post, I established that the FBI will complete the three year period (2013 - 2015) with ~64M NICS background checks for firearms purchase. In this post, I look at the relationship between two Defense index/exchanges traded over the same period. Specifically, I am interested in the whether there is a relationship between high volume "spree shootings" and equity increases for defense companies. 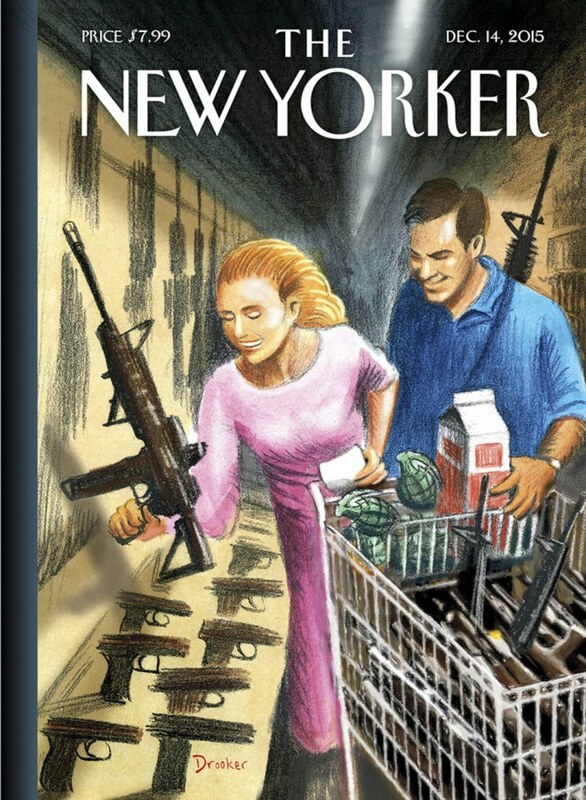 If widespread publicity of spree shootings encourages Americans to purchase extraordinary volumes of weapons, does this in turn equal greater purchase of defense stock? R code here. 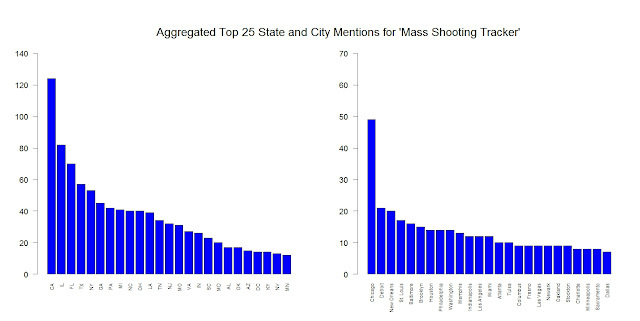 This is an attempt to parse some of the data from Shooting Tracker and talk about death by firearms in America. The project took me a bit longer than I wanted because that data needed normalization and corrections and because the subject is somewhat poorly researched due to Congressional limitations on research. See my R code here. I bound together Shooting Tracker data from three years of mass shootings which those publishers define as any shooting that injures and/or kills four or more combined. This definition gives us 1,347 dead and 3,817 injured from "mass shootings" for the three year period 2013 - 2015 (to date). Before we talk about this comparatively small number of deaths and injury, some background statistics are in order on gun violence in America. I assume the data is accurate and analyze it as I find it for all my sources including Mass Shooting Tracker, CDC and the FBI.